Malaysia, Macau, Palau, and Thailand are looking for Pinoy workers. 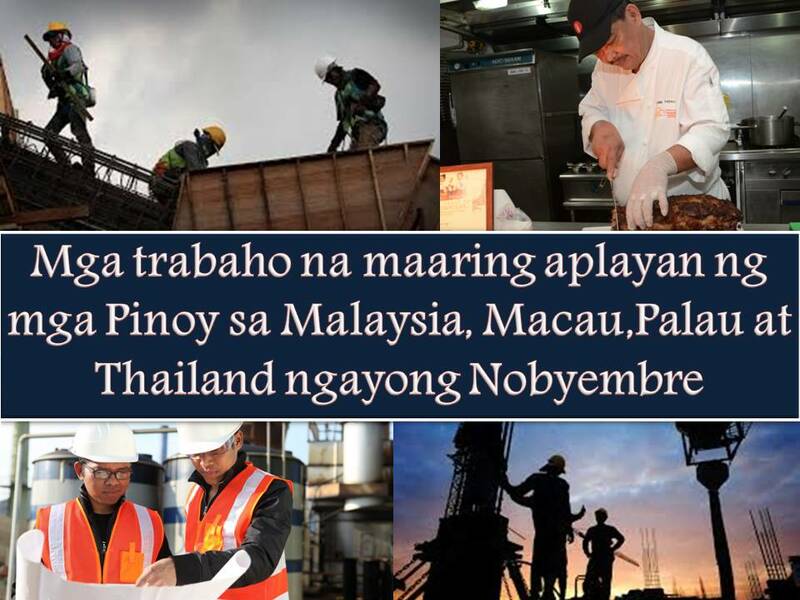 Here is the list of job opportunities from POEA website bound for four countries this November. They are looking for workers in the field of engineering, office works, construction, household workers, restaurant staffs and many others.